Some things we can't do until something else is completed first. For these use cases use the dependency strategy. 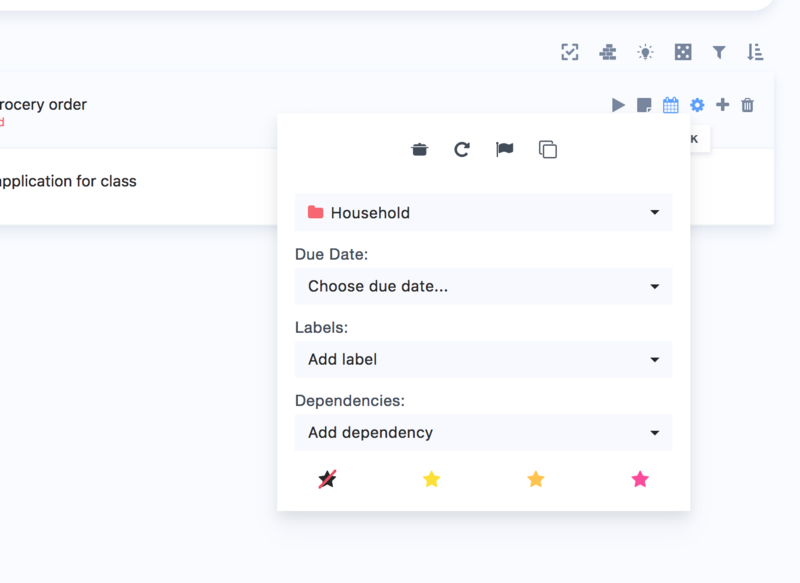 Choose any project or task you want from the picker. The selected dependencies will show up as tags. To remove them, click on the tag. As soon as an item has a dependency it will go to the Backburner. The Backburner is a separate strategy in Marvin that gives you an alternative space for any items that you want to do later. Read the article above to learn more about the Backburner. Items in the Backburner will have the "ban" symbol and show you why they are there "depends on..."
As soon as you complete any dependencies a project becomes "available". Marvin will move it from the Backburner to your Master List. The item will have a "new" tag so you know Marvin moved it for you. Hovering over the new tag tells you why this item became available. You can click the "new" tag to make it go away. You can also use the "new" tag to create a Smart List where you can see all newly available items.